The typical selfie stick is a telescopic pole with a housing on the end that clutches your smartphone or camera and lets you take snaps of yourself from a distance, either via timer or Bluetooth. 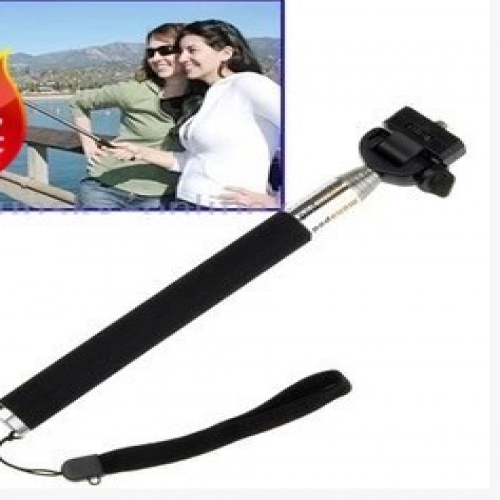 Taking selfies with an arm extender is becoming the new hot trend! Users spend countless hours trying to find the best lighting, backdrop, facial expression and, of course, filter, for their self-snapped photographs. What happens when you’ve exhausted every angle and still can’t get it quite right? If only your arm was just that bit longer. That is where the selfie stick comes in. The contraption is remarkably simple, but it makes all the difference when it comes to selfies. The selfie stick is a telescopic pole with a housing on the end that clutches your smartphone or camera and lets you take snaps of yourself from a distance, either via timer or Bluetooth. Talking selfies in places and poses you never thought possible!